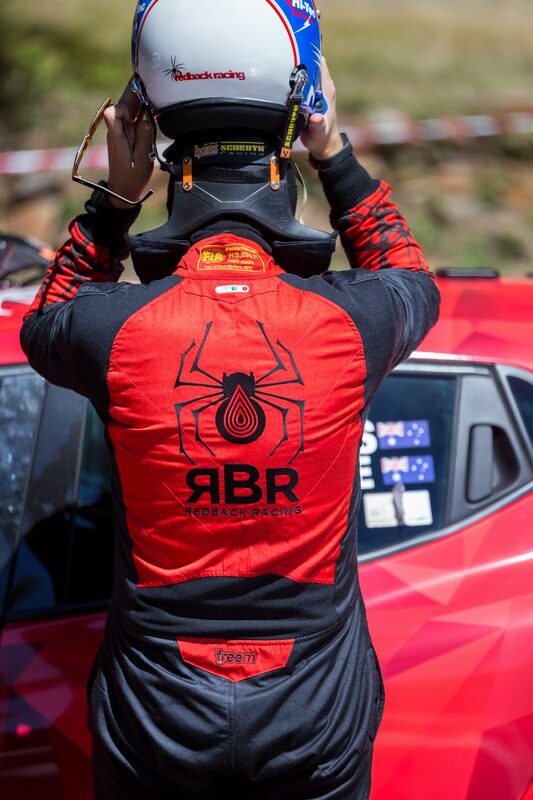 The two freshly prepared Mazda RX8’s of Redbackracing this weekend (23rd & 24th March 2019) competed in the teams first race of 2019 and the final round of the 2018/19 Australia Tarmac Rally Championship – Lake Mountain Sprint. 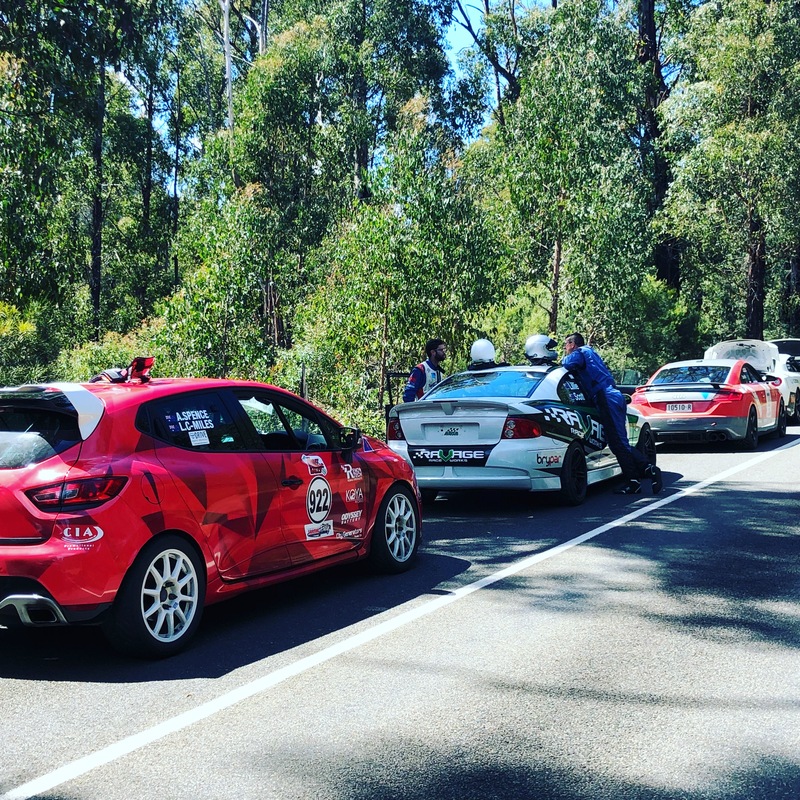 Adam & Lee were once again paired in one of the RX8’s and Andrew Bollom plus Ric Shaw were in the other car. 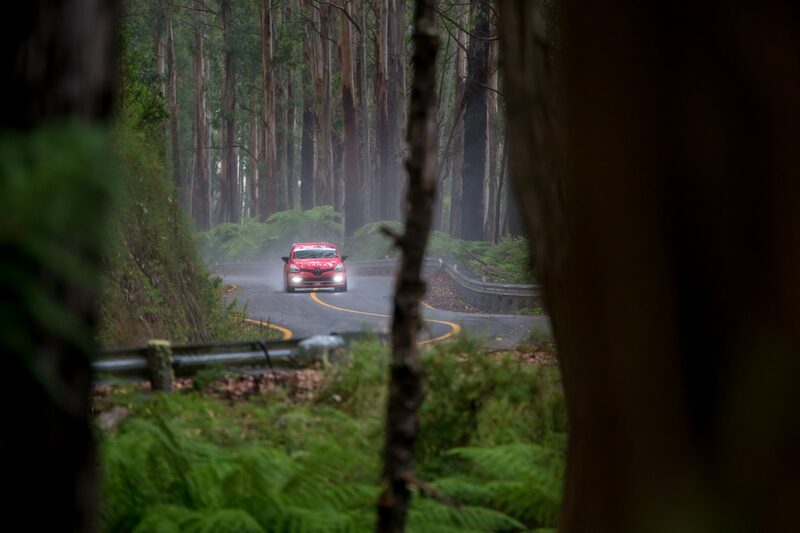 The first day was going to be a test for both crews, as this is the first event either set of competitors had ran in the new Redbackracing RX8’s, shortly after the shakedown stage the Victorian weather took a turn for the worse and rain came down, which to the locals was a sight they hand longed for – due to bush fires in the surrounding forests, however for the competitors it added some increased complexity to what are some already very tricky roads. 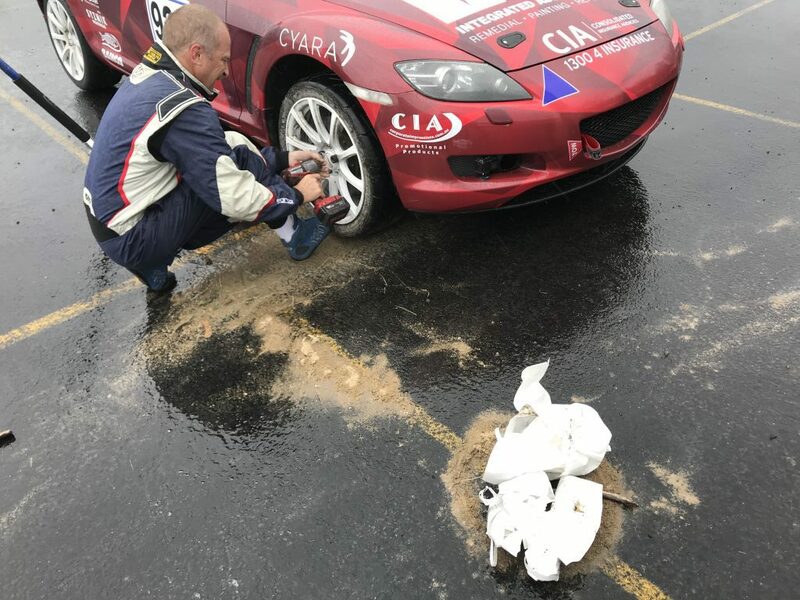 Other than a slight visit into the grass for Adam & Lee, the car of Andrew & Ric suffered from a cracked brake rotor which fortunately enough was only picked up at the end of day servicing and was changed overnight. 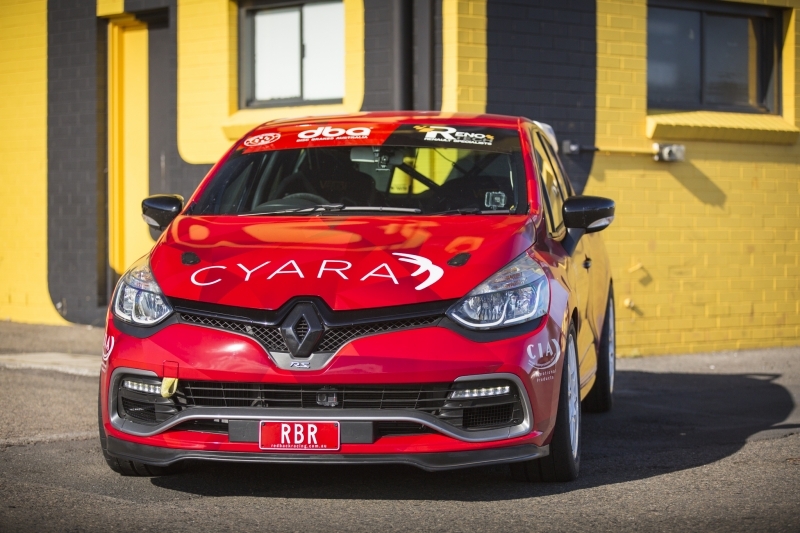 Day two brought dry and bright conditions and both cars performed way above the benchmark from the day before, showing that the teams were beginning to settle in their freshly prepared cars. 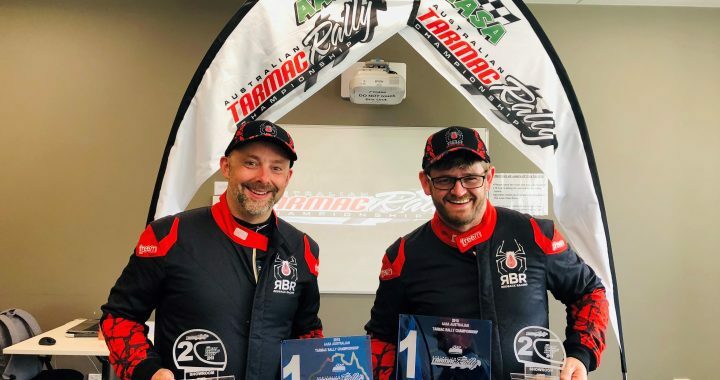 Whilst Adam & Lee suffered a similar issue at lunch as Adam and Ric and had to swap a brake rotor the cars performed wonderfully, proving all the time and effort into the cars preparation was worthwhile. 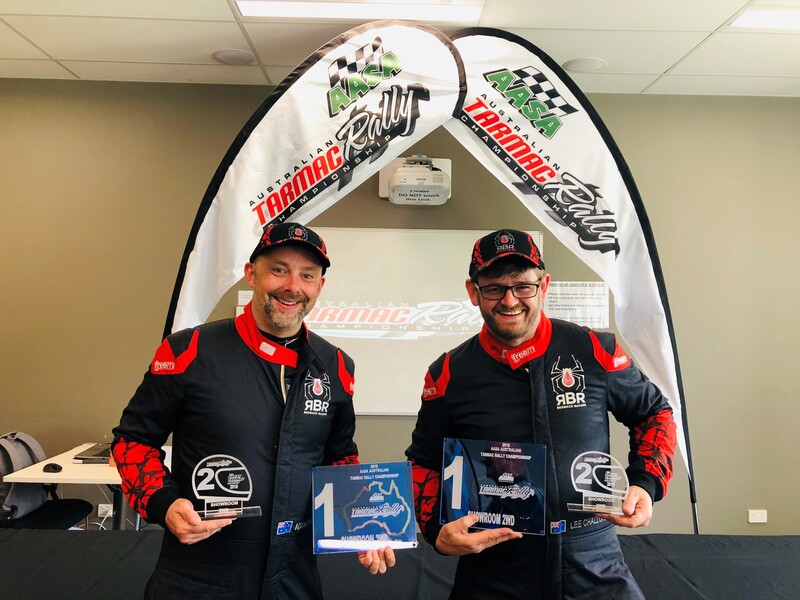 Adam & Lee finished the race in 2nd place and with a final stage remaining Andrew & Ric pushed hard to try and grab 3rd, but painfully missed out by just 3.9 seconds. 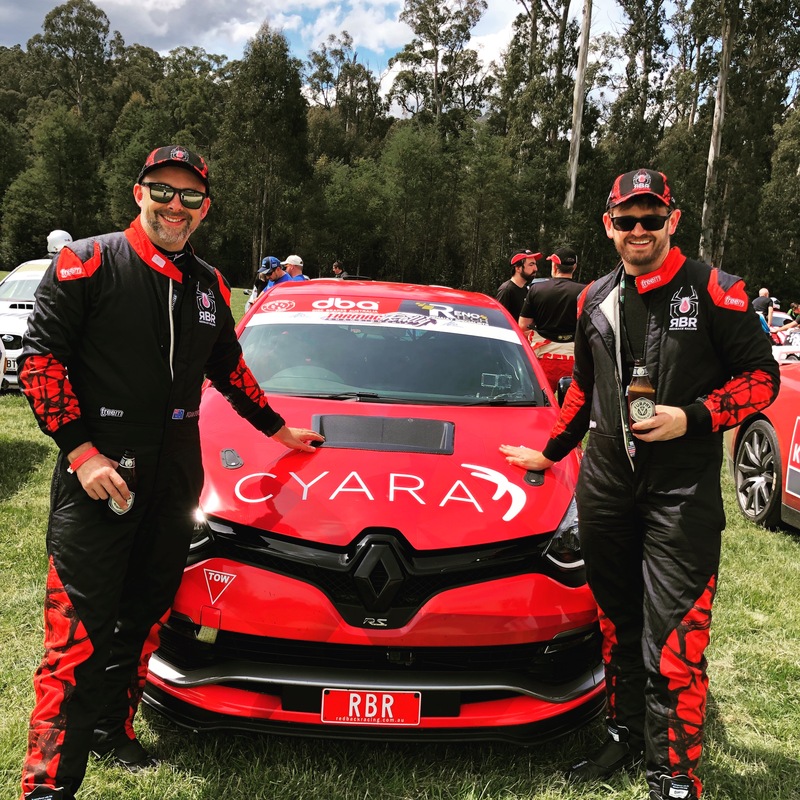 A really enjoyable event and a lot was learnt by all on how the cars should be driven and what we all need to do in preparation for the teams return after a number of years absence, to the Ultimate Tarmac Rally – Targa Tasmania 2019. 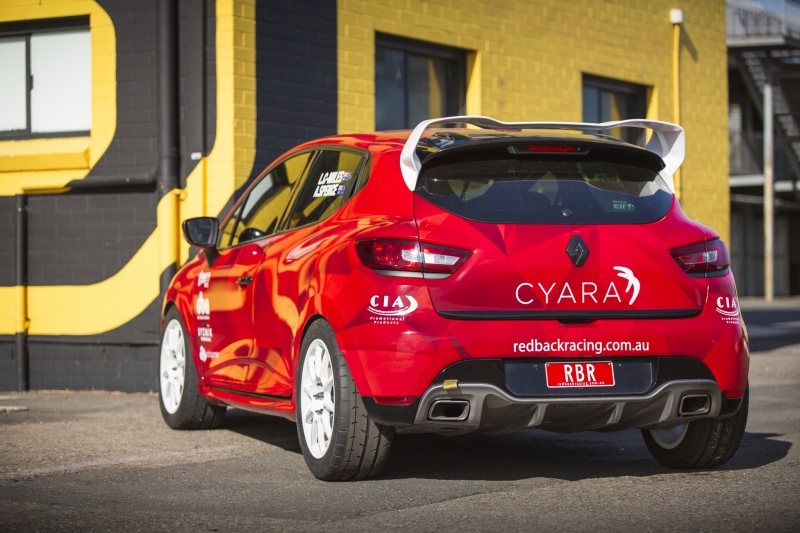 To kick off the 2019 season, the team at Redback Racing are excited to be back running a two-car team. 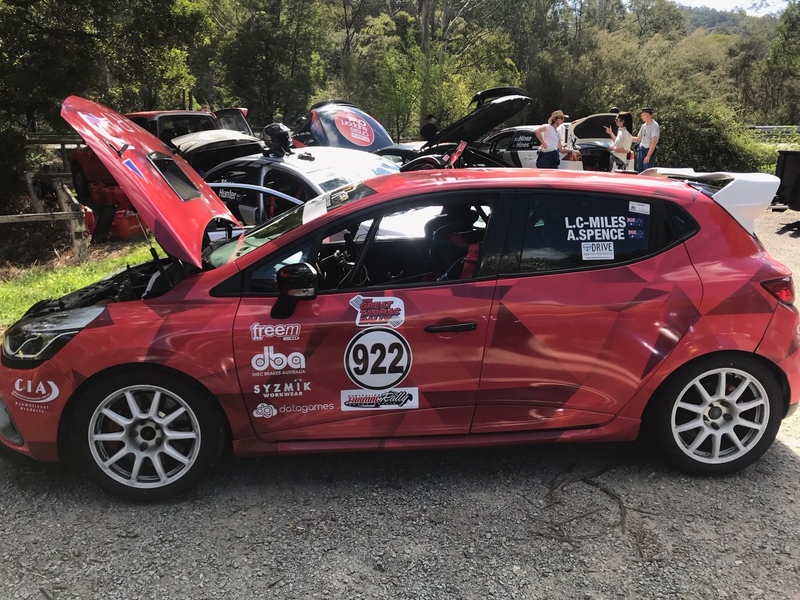 Adam Spence & Lee Challoner-Miles are teaming up again for the season, having come off wins in Showroom 2WD for the past two years in the Australian Tarmac Rally Championship in the Renault Clio. 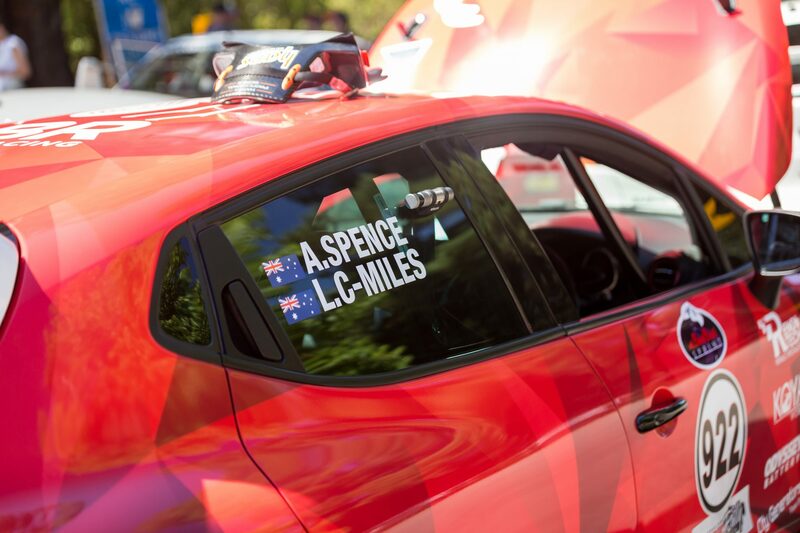 Adam and Lee have been joined by long-time friend and highly experienced racer, Andrew Bollom. 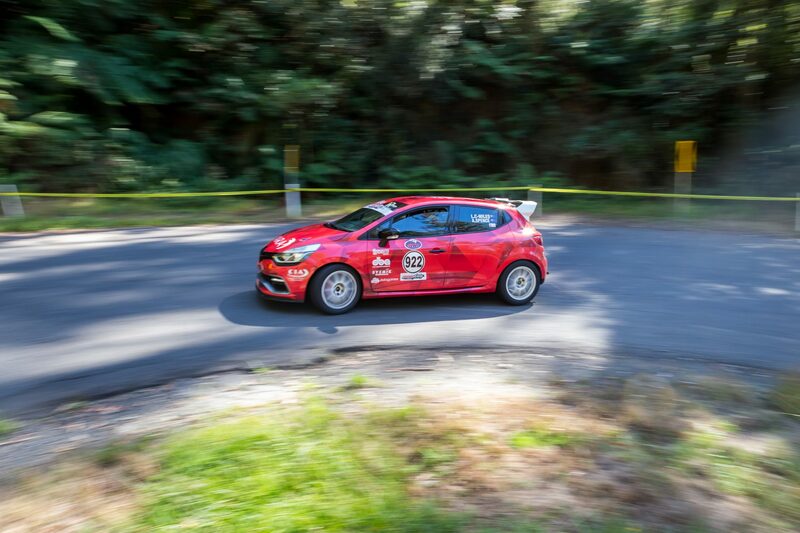 Andrew who is no stranger to Tarmac Rally had close friend and RX8 Cup founder Ric Shaw as Navigator. 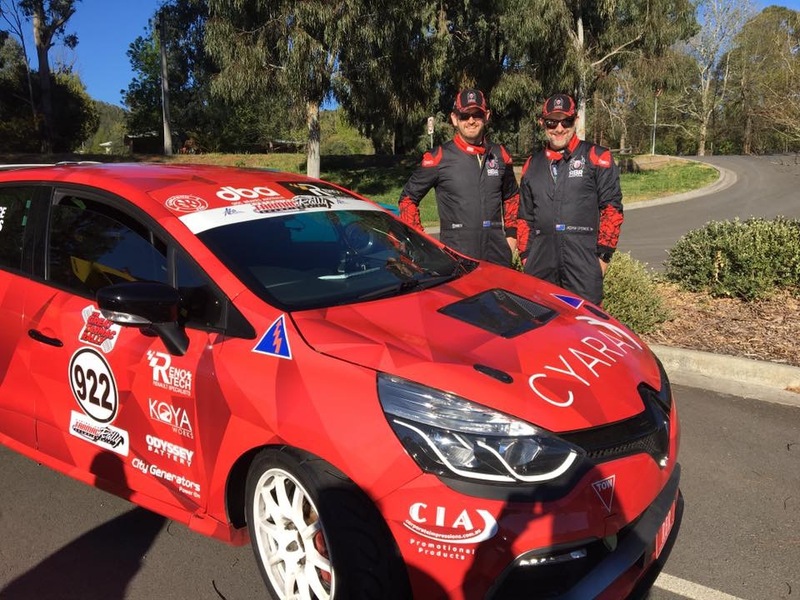 Andrew will be joined by experienced gravel rally specialist, Ryan Preston, for Targa Tasmania. 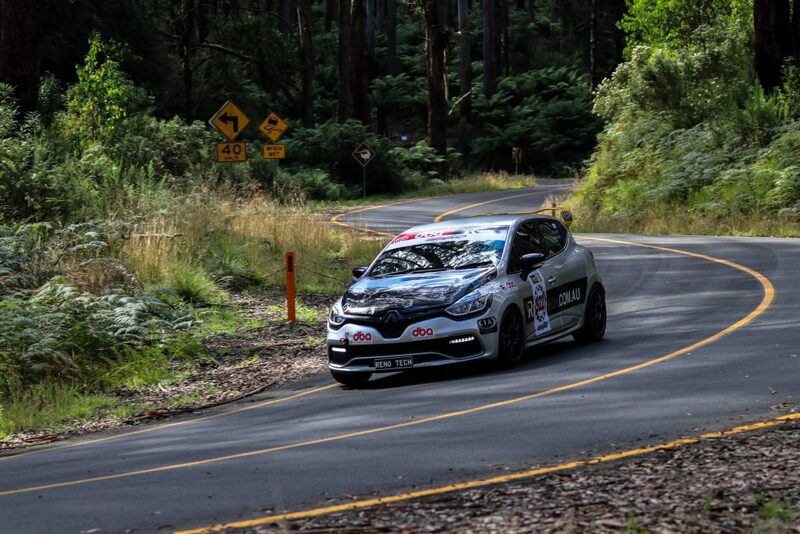 Having raced together previously, running identical Renault Meganes in 2015 with class wins in the Targa Australia Championship, the team are hoping to repeat those successes in the Mazda RX8’s, familiar territory for the Rotary loving Spence and Bollom. 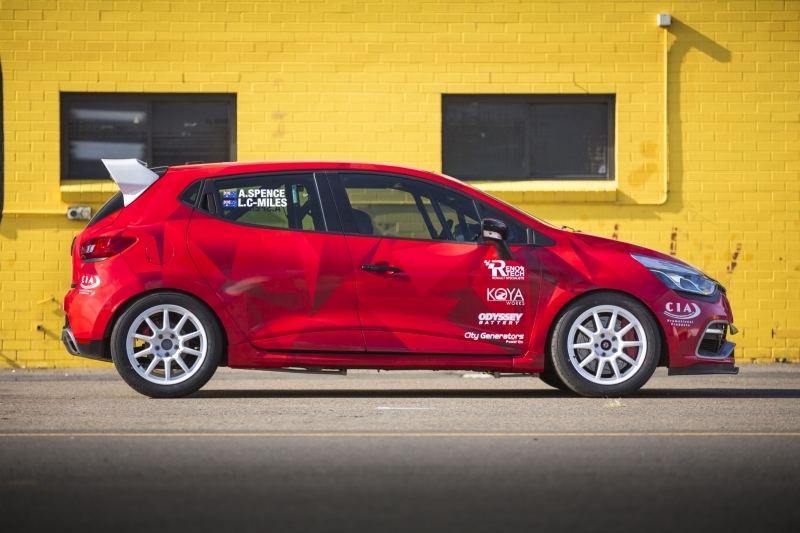 In fact, it was the love of Rotary engines that instigated the friendship many years ago. 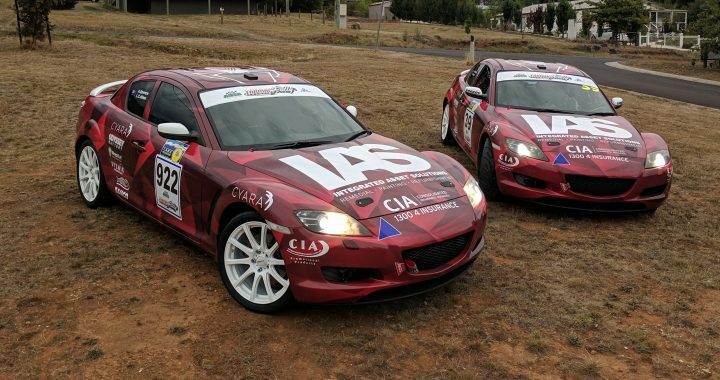 Over the last 6 months the team have worked to prepare two Mazda RX8 Cup cars specifically to RX8 Cup specifications and will enter both for 2019 in a combination of Mazda RX8 Cup circuit events and selected tarmac rally events throughout the year including the AASA Australian Tarmac Rally championship event on March 23rd, Lake Mountain Sprint. 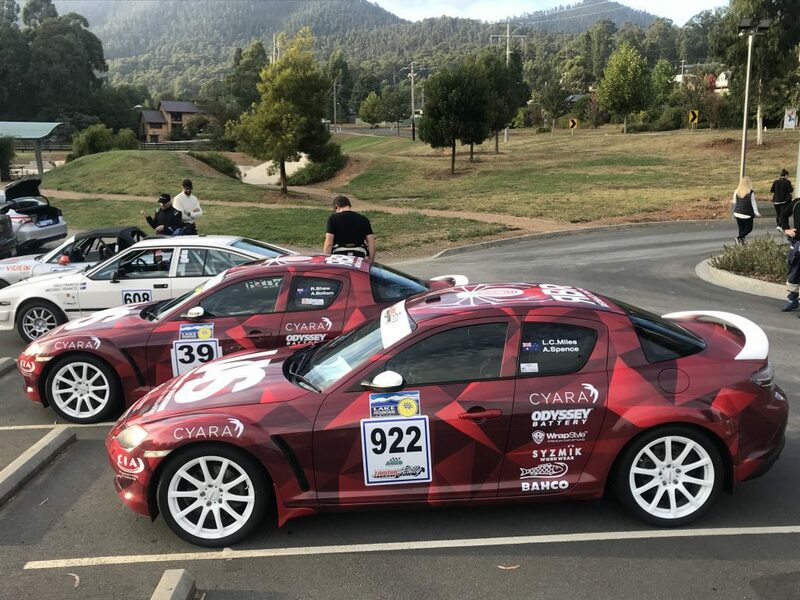 The team are also very pleased to be returning to the CAMS Australia Targa championship event in April 2019, Targa Tasmania. 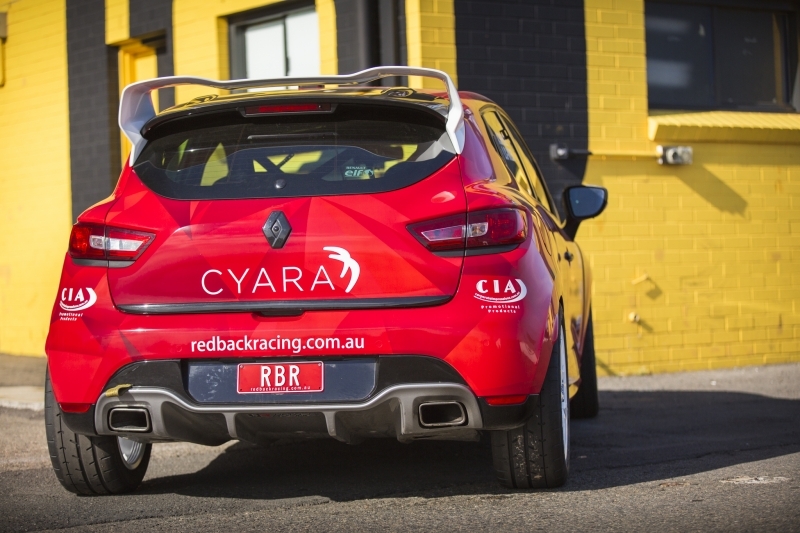 Not only does 2019 bring new cars to Redback Racing but also new sponsors. 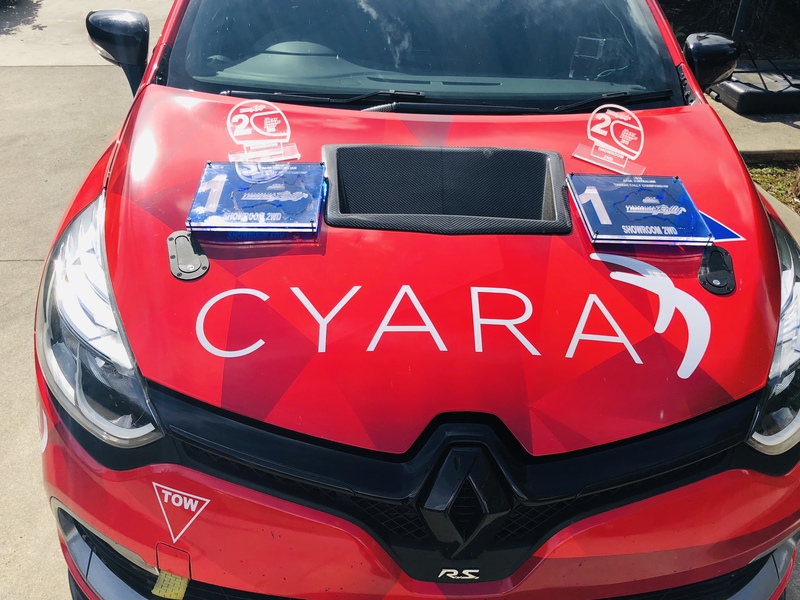 We welcome IAS (Integrated Asset Solutions), CIA (Consolidated Insurance Agencies), WrapStyle and Bahco to the team and want to thank CIA Promotional Products, Cyara, City Generators and Odyssey Batteries for the ongoing support. 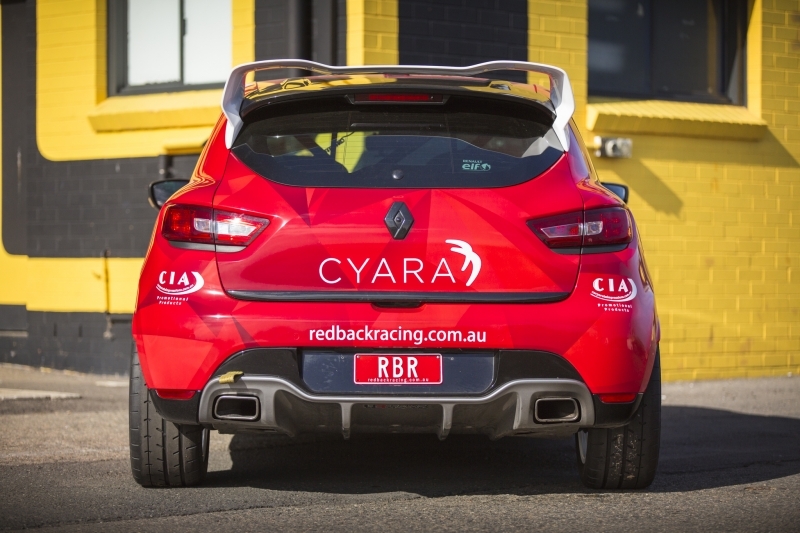 The team are chuffed to announce that that is back to back championships for team Redback Racing. 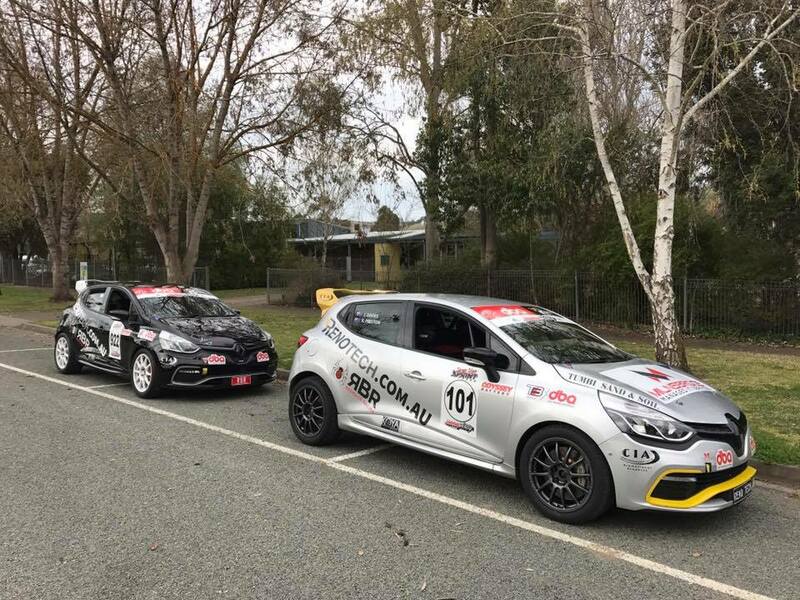 Day one say us punching well above our weight, mixing it with the big boys in Evo X’s, Audi TTRS’s and chasing the 5.0L Shelby Mustang. 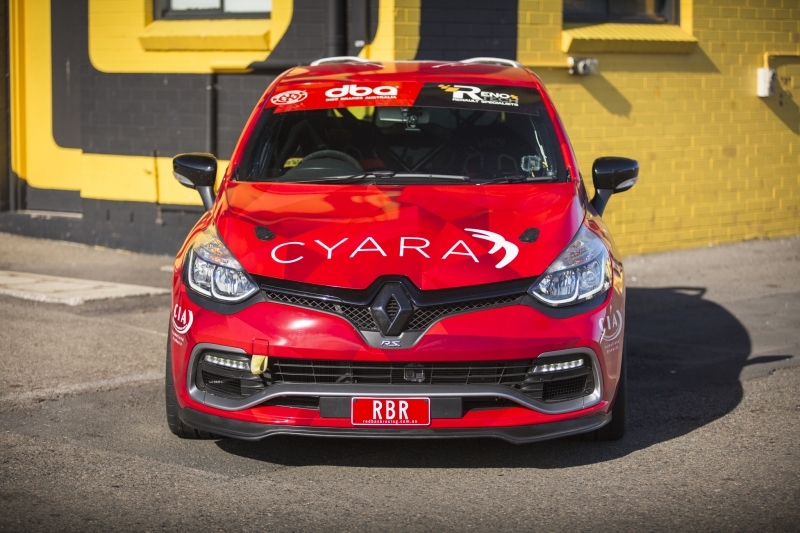 All this whilst competing in possibly the worlds longest single day of tarmac racing – all 186km’s of it. 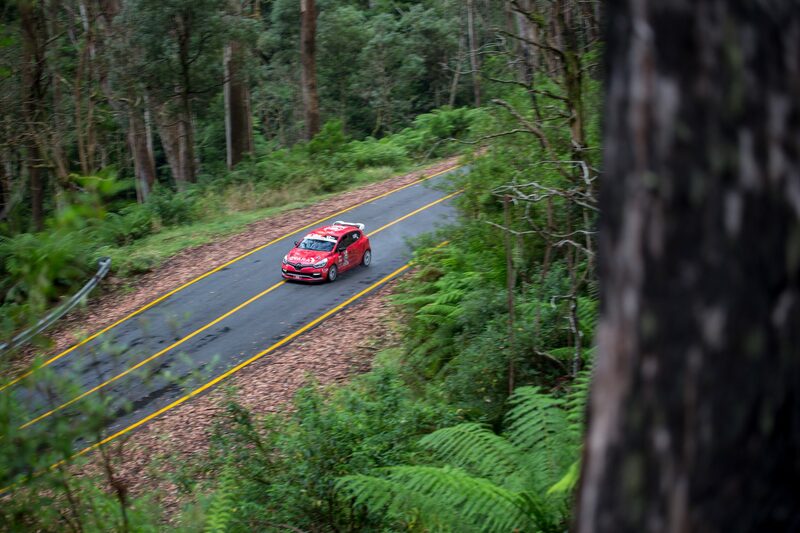 The little Clio was well suited to the undulating roads throughout the Victorian High Country. 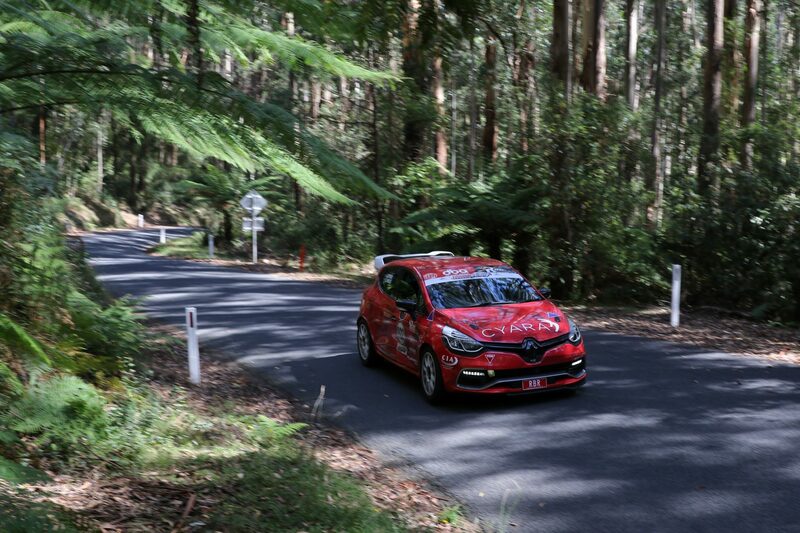 Day two, was….. more challenging, with long fast straights, suited more to our higher horse powered competitors. 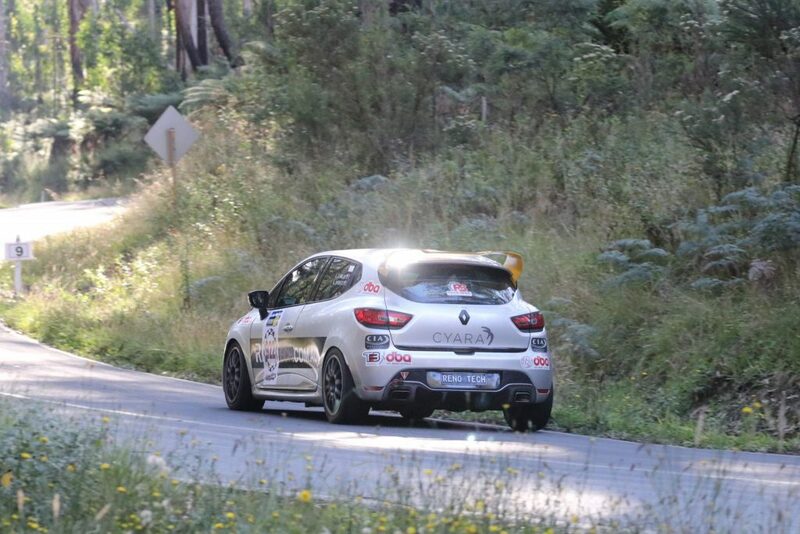 And whilst the Clio had some issues with breaking, we doubled down knowing the championship was at stake. 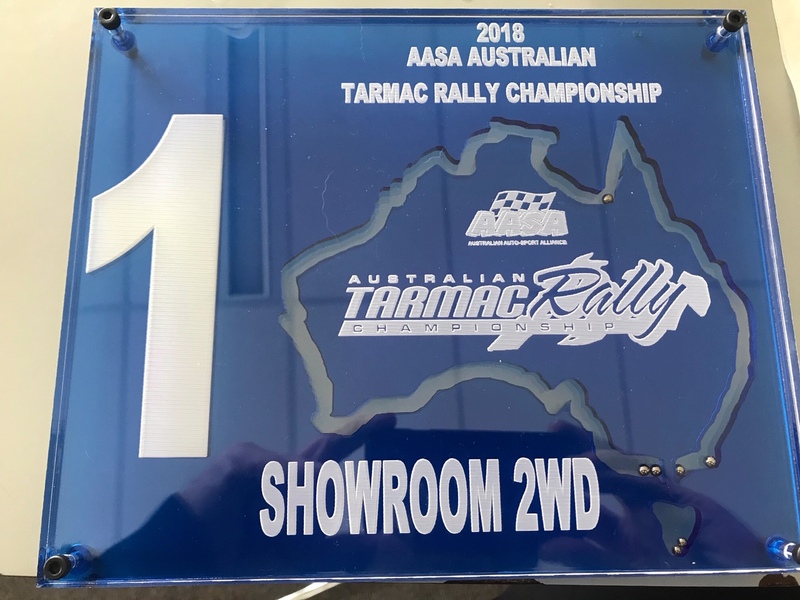 So all in all, a terrific weekend and year of racing, finishing 2nd in class and 13th outright today, which makes it two firsts and two seconds to win the 2wd Australian Tarmac Rally Championship. A huge thanks to everyone who has supported us this year. 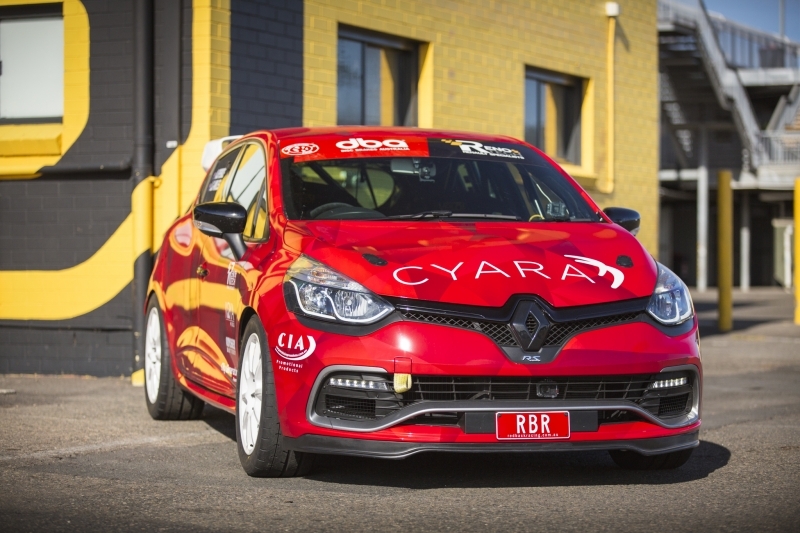 The team spent a great deal of efforts over the break period to do a number of upgrades on the car. 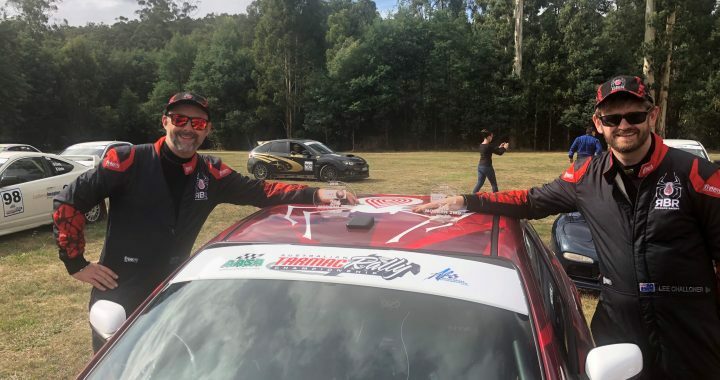 These upgrades ended up being successful and the team featured a number of top 10 outright times and ended up with a 12th outright result and win in showroom 2WD. 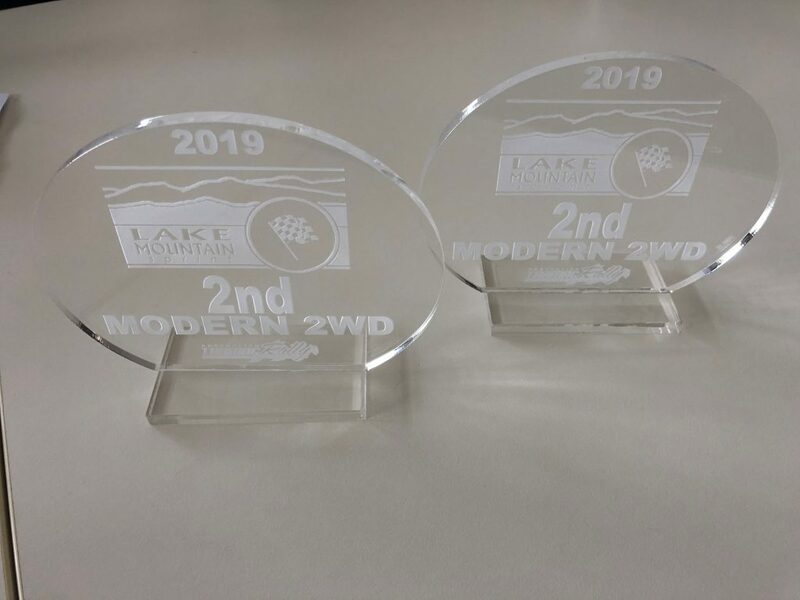 The rain on day 2 of the event helped the team achieve these results. 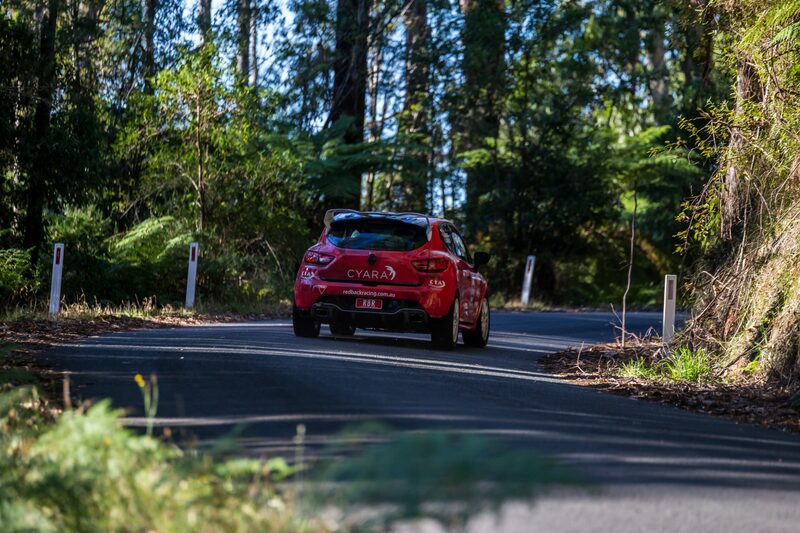 This leaves the team in the lead of the 2018 championship in showroom 2WD with 1 round to go on the 13th and 14th of October. 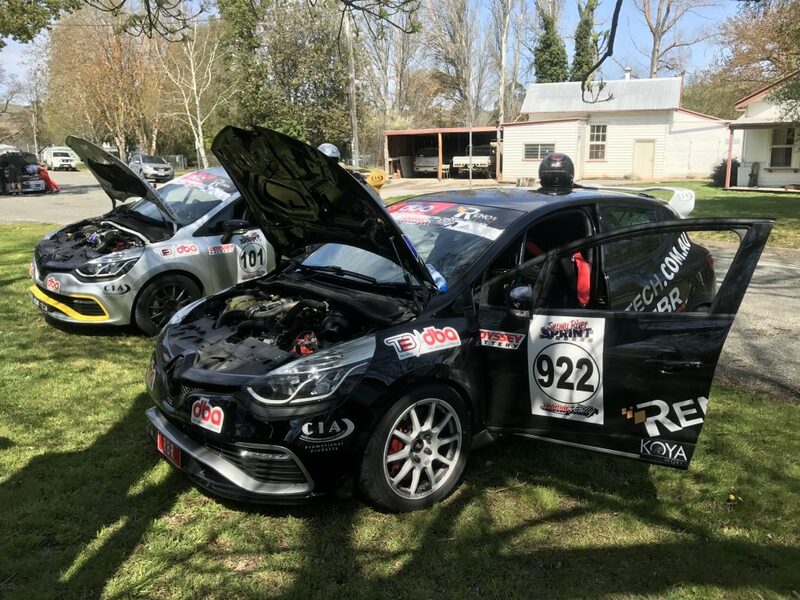 Click here to view the gallery from the event. 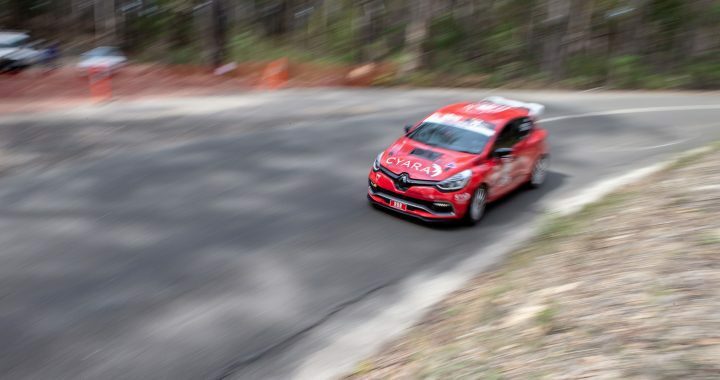 Mt Baw Baw Rally is an event where the tight and twisty roads really suit the teams Renault Clio RS220. 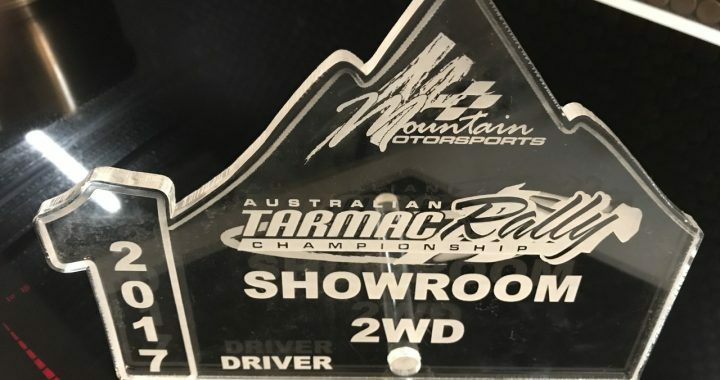 On the Saturday the team ran solid top 10 times and captured the lead of showroom 2wd. 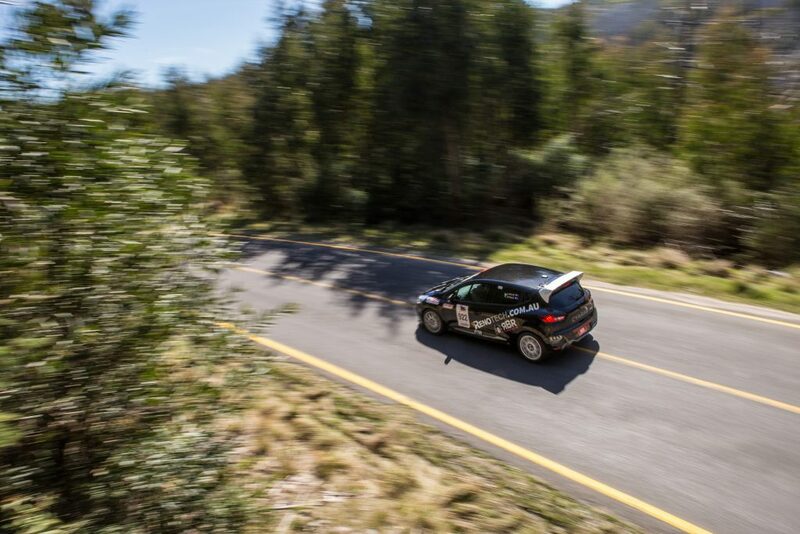 Then just before lunch on the Sunday the team half way through a stage collected a large stick under the car that dislodges some of the car wiring which meant the car was not able to select a gear. 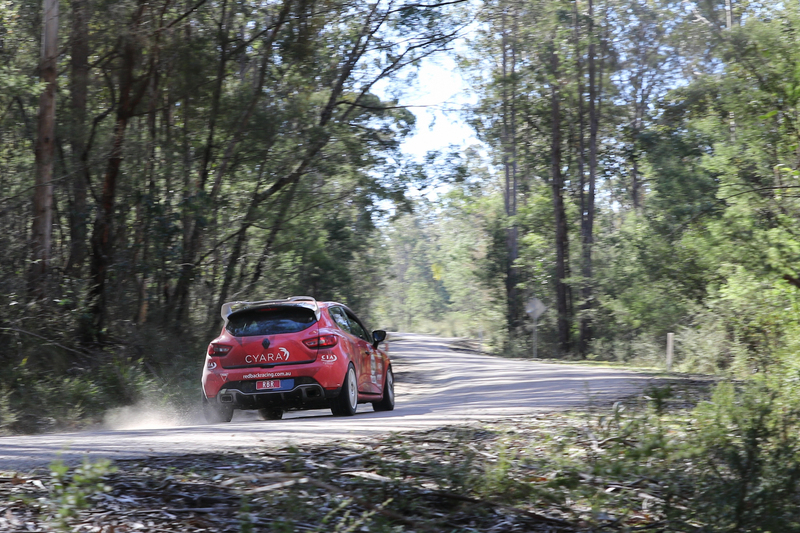 With some quick thinking and reaction time from the service crew they arrived at the car and made some quick repairs. 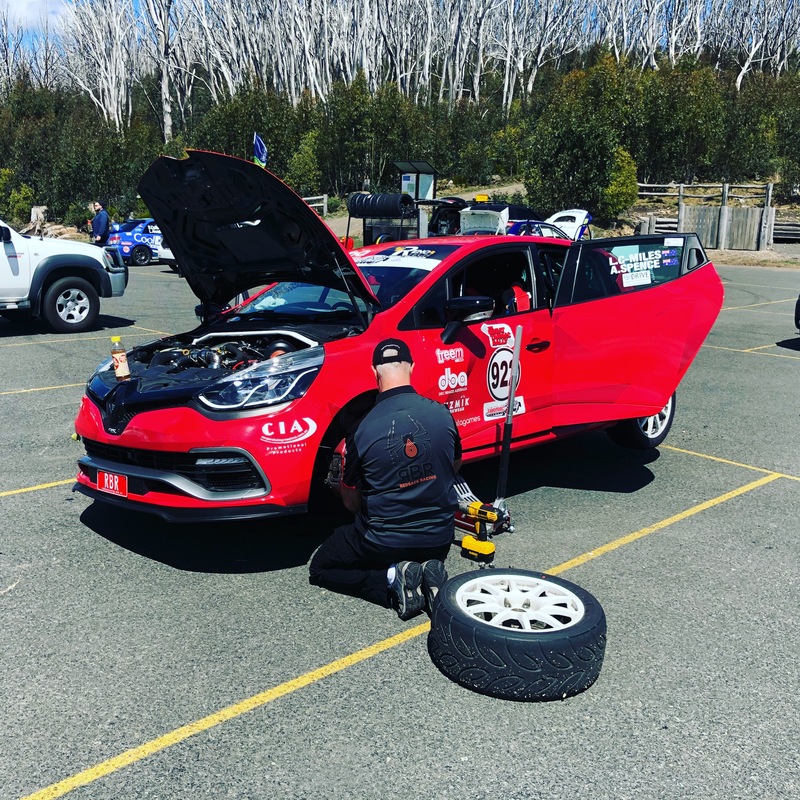 These repairs allowed the team to compete the final stage of the event and take out the Showroom 2wd category to put us in the lead of the 2018 championship. 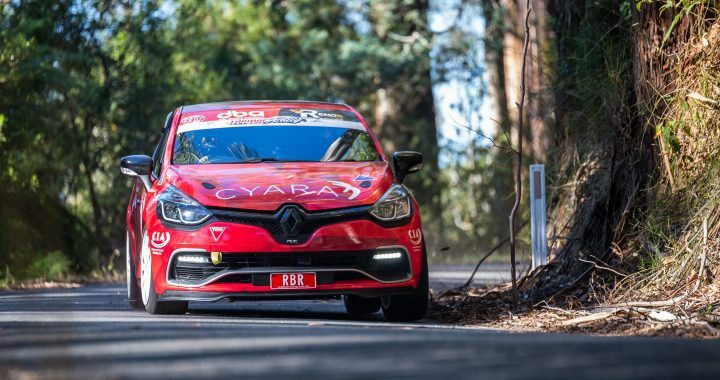 The rally last weekend was the teams best performance to date with 6th outright out of 33 starters and 2nd in 2wd Showroom, as well as taking out the Championships first Renault Cup. 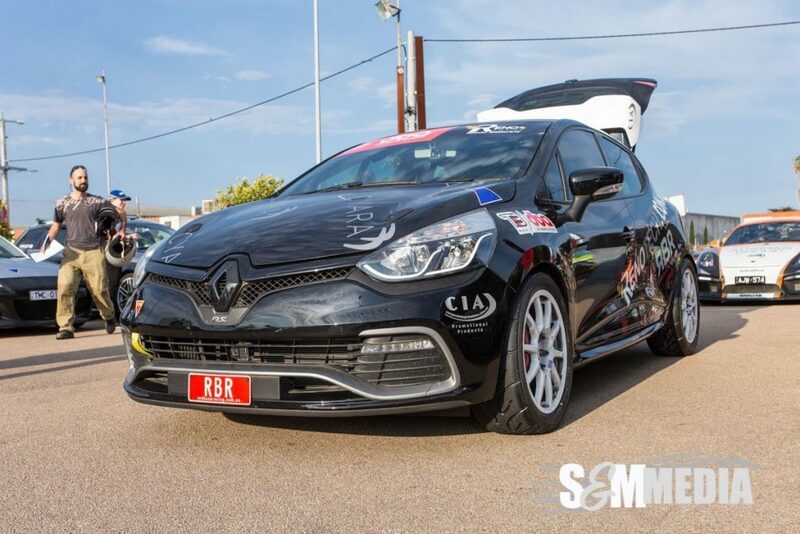 The wet weather conditions on Saturday really suited the Clio well, the team where very happy that a couple of long standing small issues with the car, where ironed out over the course of the weekend which will help provide confidence in the car for the coming rounds of the championship. 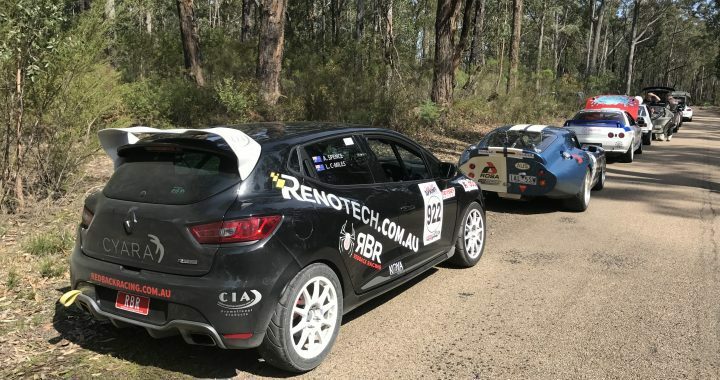 The team are now really looking forward to the second rally of the year, Mt Baw Baw a team favourite happening on the 10th and 11th of March if you are in the area come and say hi!!! KICK off to 2018 Season! 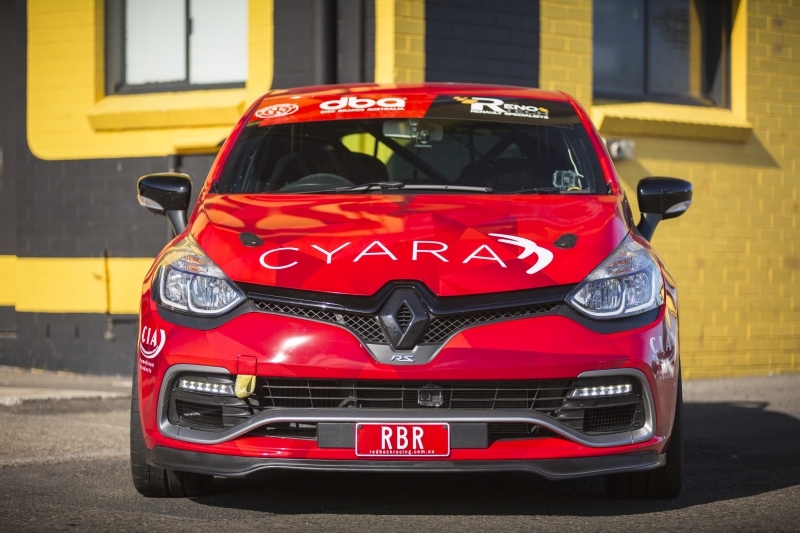 2018 season is go!! 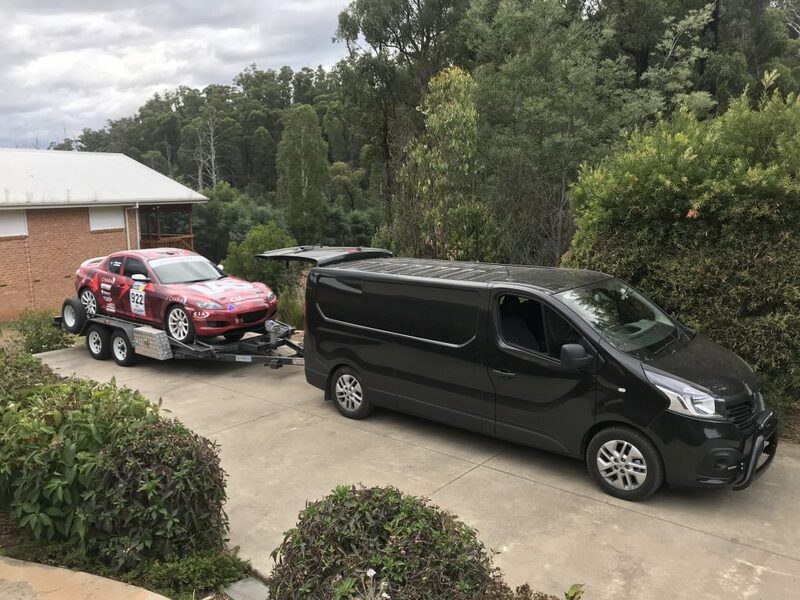 The team are launching their new livery and team uniforms this weekend in Victoria at the first round of the championship. 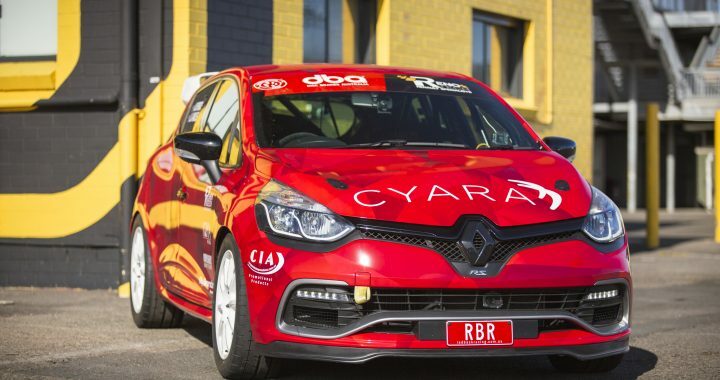 We are also very excited to announce some new sponsors for this season to sit along site our existing gold sponsors Cyara and Corporate Impressions Australia. 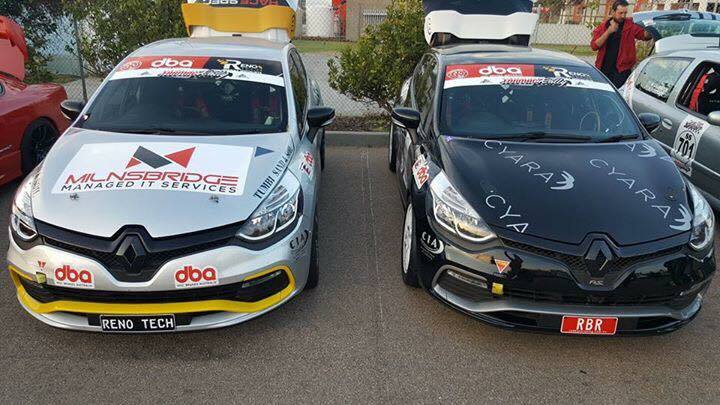 For this season the team would like to welcome City Generators, Syzmik Workwear and Datagames as new sponsors. 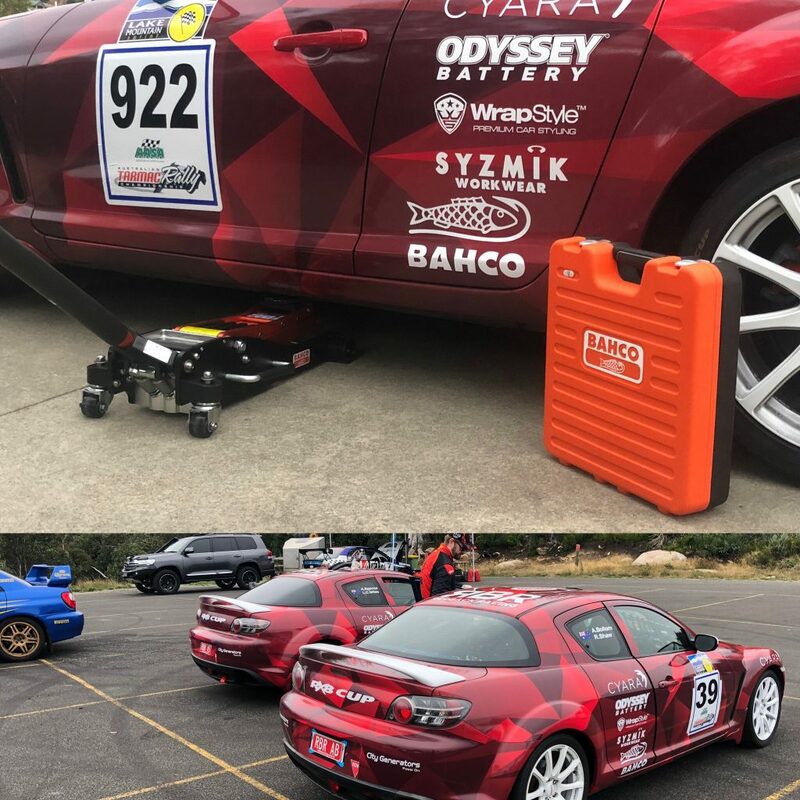 Sitting along side RenoTech and Odyssey Batteries. 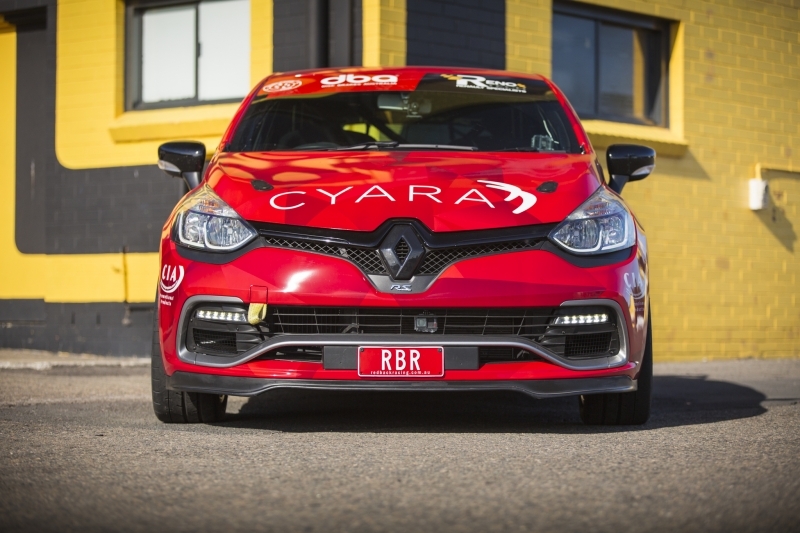 The new Livery was applied by Wrapstyle Sydney who have done an amazing job to transform the appearance of the 2015 Clio RS. 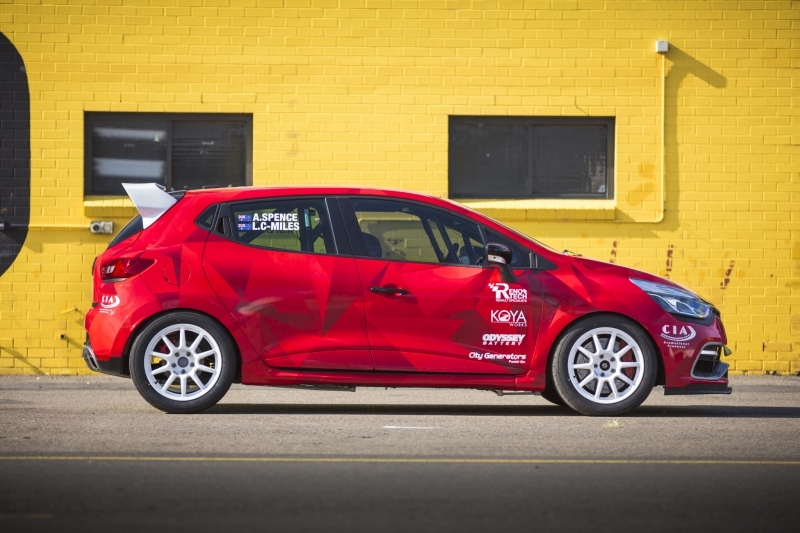 A great deal of work has been put in by the team at RenoTech to try and improve the performance of the car with some mild enhancements performed over the New Year break. 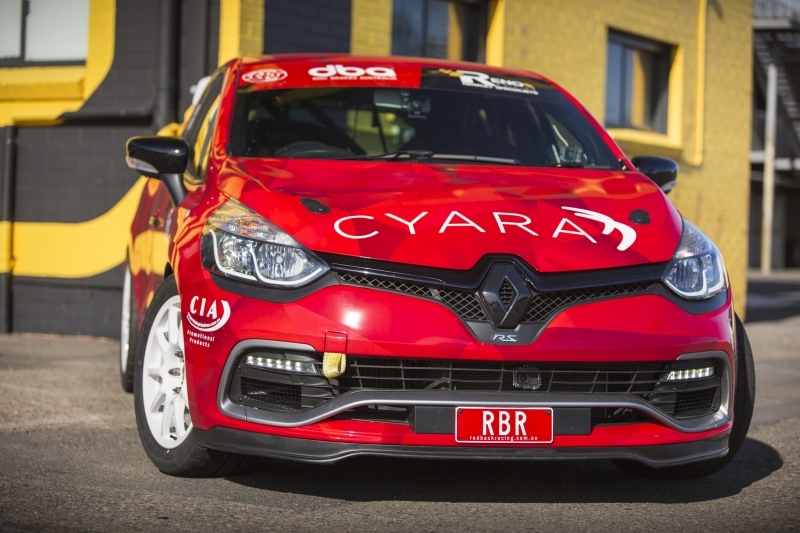 As always a huge thank you to all our sponsors and crew in getting us to this point. 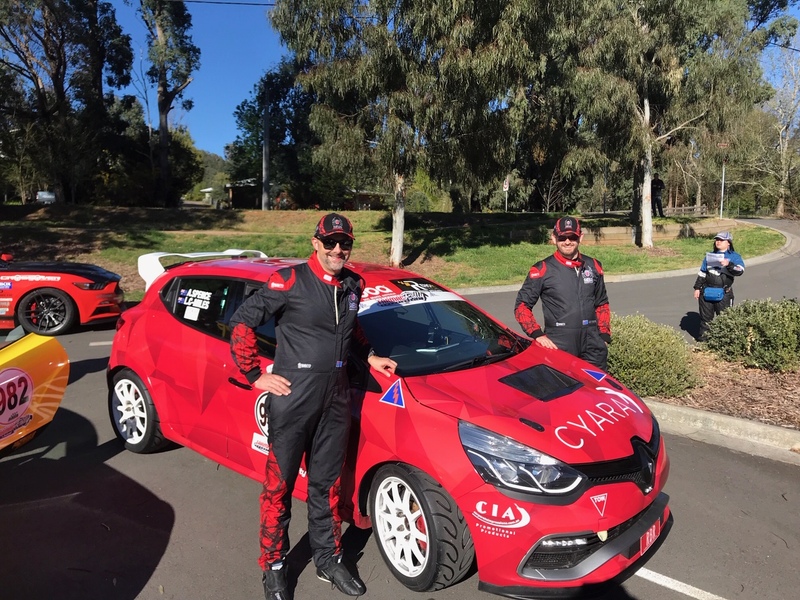 The final round of the 2017 championship was a success for the team taking second place at the rally and in doing so taking out the 2WD Showroom Category in the Australian Tarmac Rally Championship. 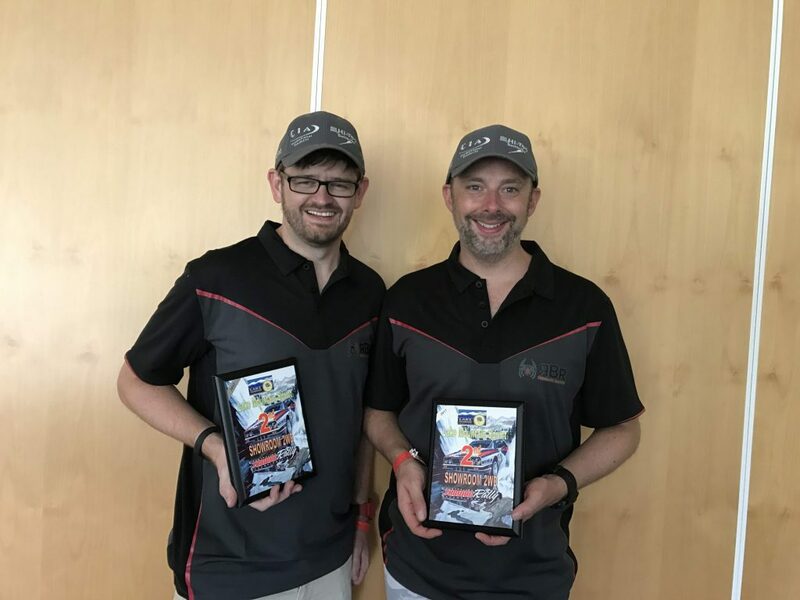 The team would like to thank everybody involved in giving us the opportunity to compete in the 2017 season where the team secured 4 second positions. 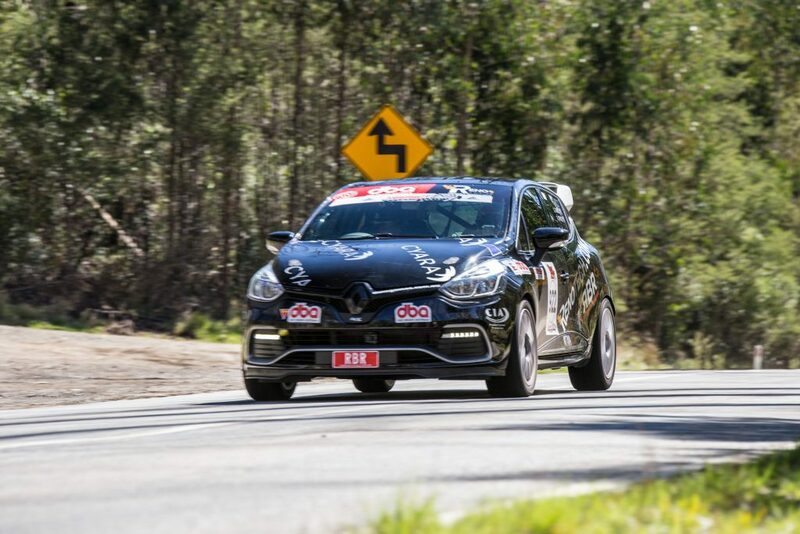 The team ran yet another 2nd in class at this weekends Snowy River Spinrt held in Victoria at Lakes Entrance. 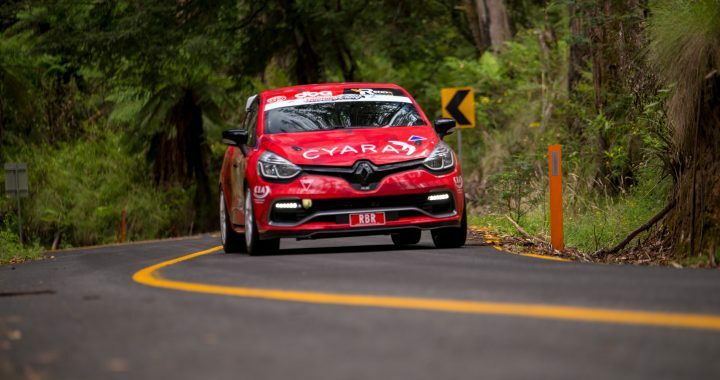 Unfortunately the team had some issues that effected performance for most of day 1 which unfortunately meant that times were effected and they slipped down to 12th position overall and 2nd in class. 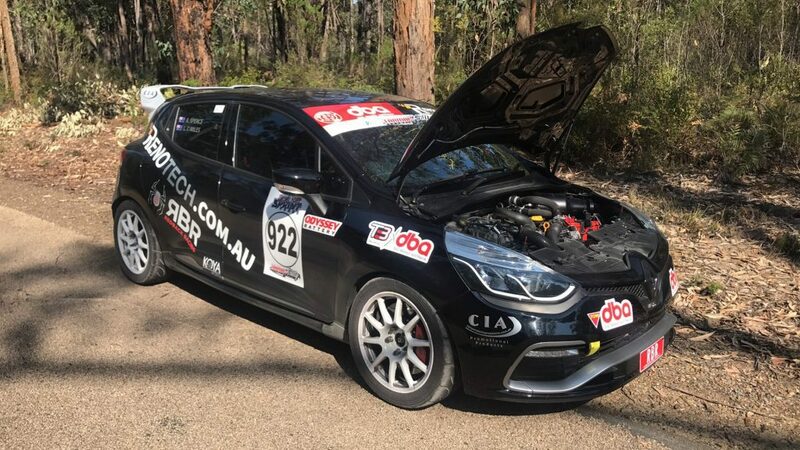 On the Sunday the team left the service park with a well performing car that unfortunately was not going to run in the remainder of the event as the event was cancelled due to bush fires closing in. 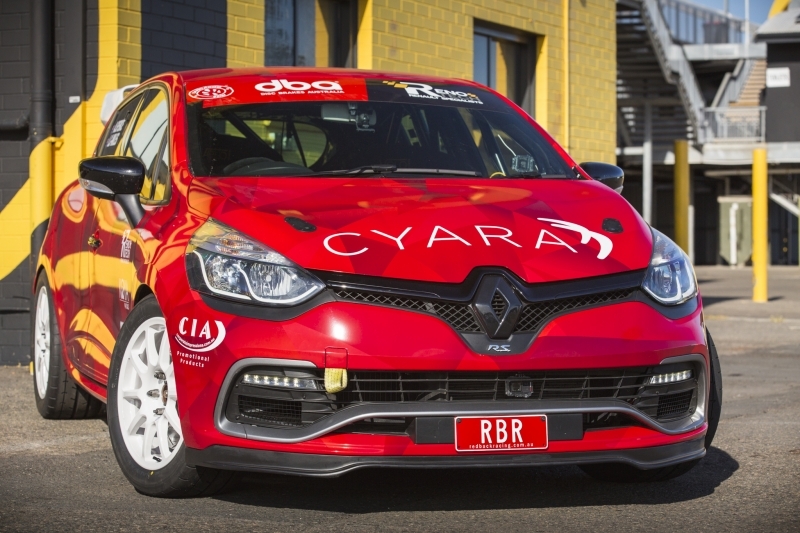 These points will be valuable in the hunt for the championship title where the team are in the top 10 overall and second in class. 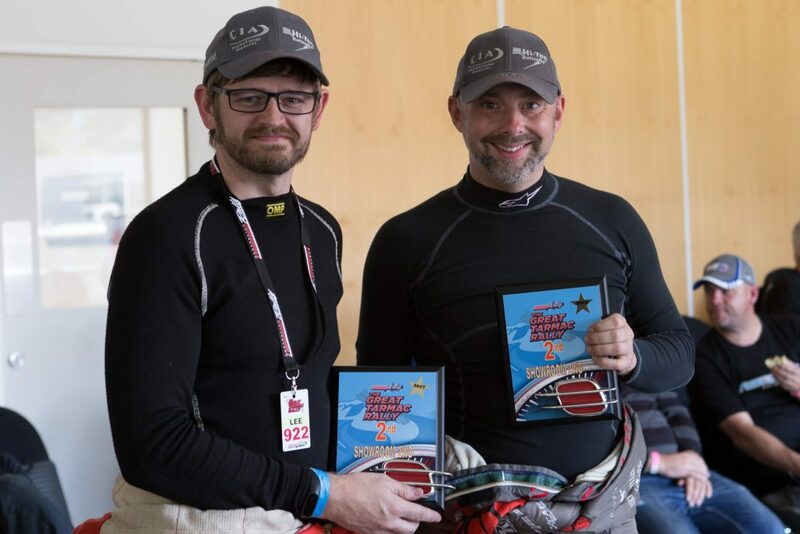 Adam and Lee would again like to thanks team sponsors, family and helpers. 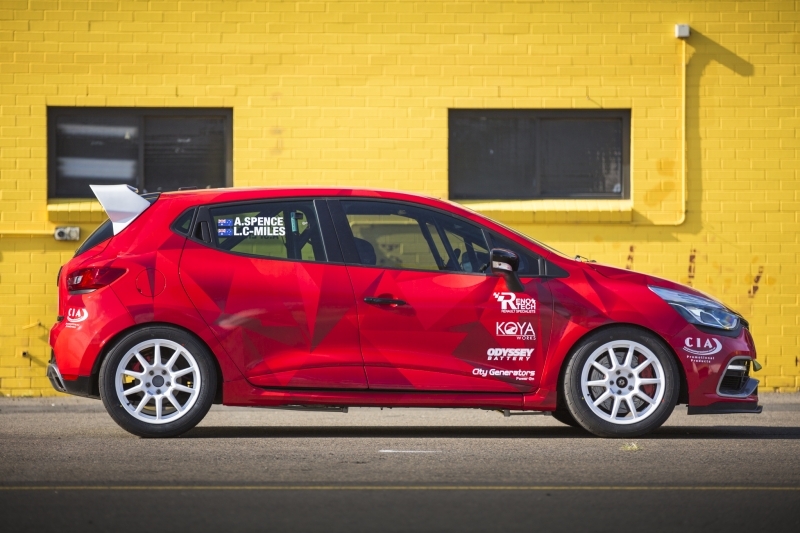 Also a special call out to Reno Tech who have build a great new car for the team. 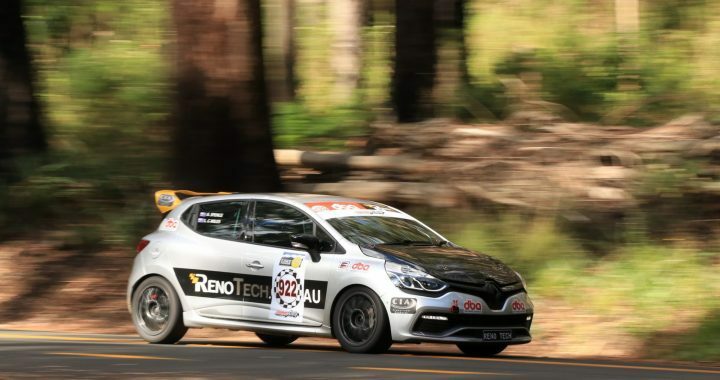 The team had another successful outing in the Renotech prepared Renault Clio RS220. 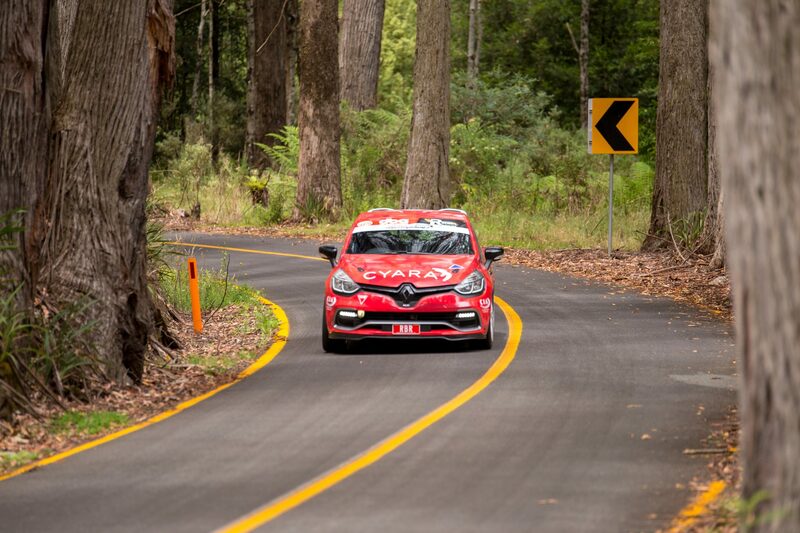 The team were hoping for some rain during the event which did not eventuate. 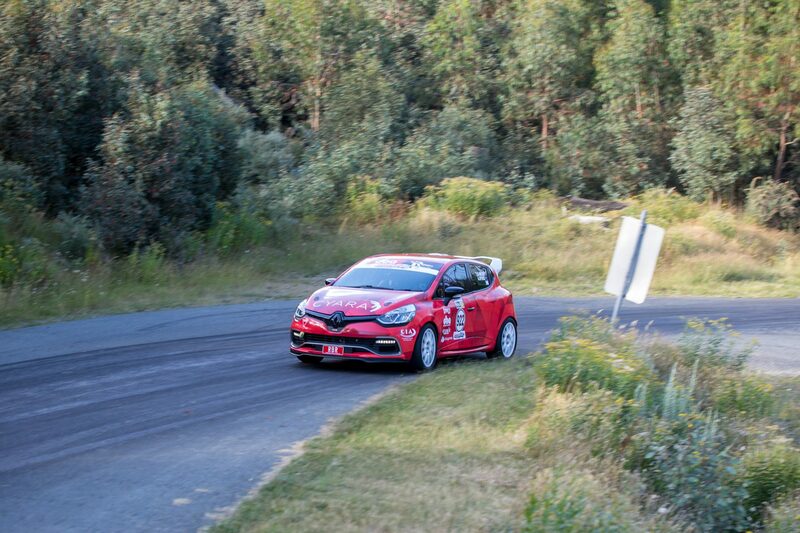 The team again finished 2nd in showroom 2wd which was a solid result. 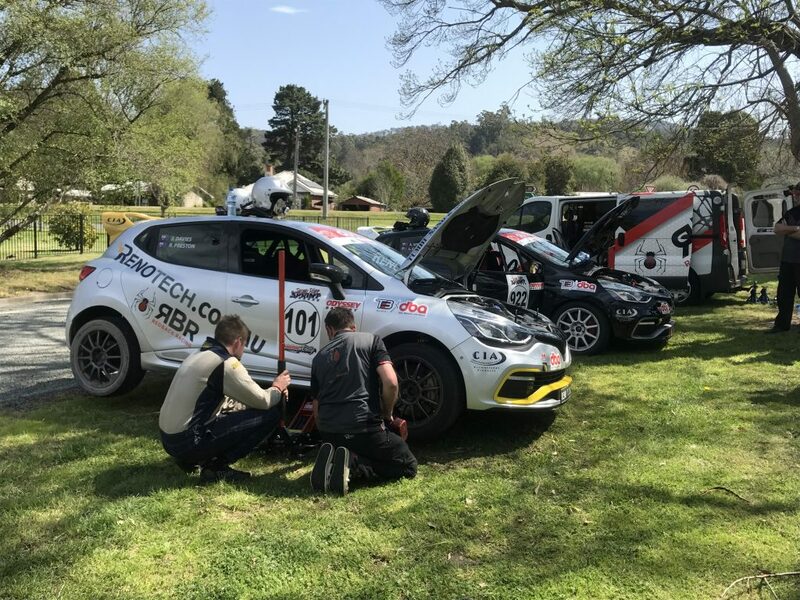 Some good learning’s in terms of some car setup changes will happen now before the 3rd round of the Australian Tarmac Rally Championship – Snowy River Sprint in September. 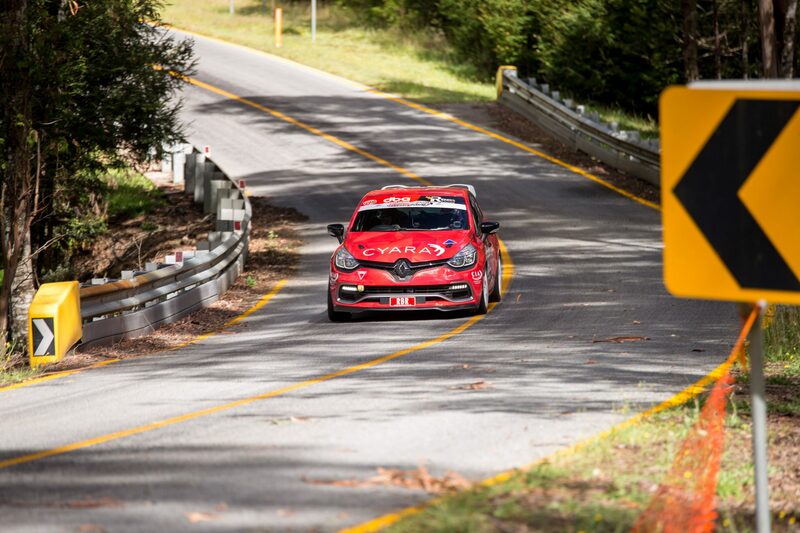 Click here to see the gallery of photos from the event.